Being concerned about how one appears to others is considered typical or even axiomatic human behaviour (Schlenker and Weigold 1992). The active manipulation of the impressions we leave on others, by selecting specific behaviours to convey a particular image to an audience, is referred to as self-presentation (Goffman 1959). Children with autism spectrum disorders (ASD) are notably poor mindreaders (Yirmiya et al. 1998). However, it is unclear whether this limitation entails that they cannot strategically shape other people’s perceptions of them. Typically-developing children come to understand that they can manipulate another person’s perception of themselves at around 6 years of age (Harris 1989). From around 8 years, self-presentational motives become increasingly salient (Banerjee 2002) and children increasingly adapt self-presentational strategies to specific goals. For instance, 10-year-old children emphasised more assets that were relevant to a desirable goal than 6-year-olds (Aloise-Young 1993). Children with ASD seem less concerned about others’ feelings or others’ perspective on themselves and hardly show self-conscious emotions, such as embarrassment and shame (Frith and Happe 1999; Hobson et al. 2006). However, they do recognize that an audience can cause embarrassment in others (Hillier and Allinson 2002), and have a surprisingly adept, though slightly less positive self-concept (Bauminger et al. 2004; Lee and Hobson 1998). It could be argued that they acknowledge the interpersonal principle of self-presentation, but need triggers to increase their concern and apply these principles in their own interactions with others. In the present study we varied the motivation for positive self-presentation by manipulating a personal gain that could potentially be attained by strategic choice of self-descriptions, following Aloise-Young (1993). Since children with high functioning ASD (HFASD) are sensitive to such manipulations (Begeer et al. 2003, 2006), we expected them to report fewer positive self-statements in baseline self-descriptions but to increase their positive self-statements and effective self-presentation strategies in a self-promotion condition. Forty-three children with HFASD participated (39 boys, 4 girls), including 26 children with PDD-NOS and 17 children with autism or Asperger syndrome. The diagnostic classification was based on the assessment by a child psychiatrist and multiple informants (psychologists and educationalists) who observed and tested the children in the group and in school during a period of at least 3 months. The children fulfilled established diagnostic criteria according to the DSM-IV-TR (American Psychiatric Association 2000). The comparison group included 43 typically-developing children (39 boys, 4 girls), individually matched on chronological and mental age with the HFASD group. Participants’ first language was Dutch. They were tested in a familiar setting within their school. Consent for participation was obtained from parents and head teachers. A short version of the Dutch Revised Wechsler Intelligence Scale for Children (WISC-R; Van Haasen et al. 1986) was administered to estimate FSIQ, VIQ and PIQ. Independent samples t-tests did not detect differences between individuals with HFASD and comparison participants on chronological age, VIQ, PIQ or FSIQ (see Table 1). A second-order false-belief task, derived from Sullivan et al. (1994), involved a story about a mother and her child. A series of probe and control questions was asked to ensure that the child was following the story. After each probe or control question was answered, feedback or correction was provided to the child. Finally, the second-order false-belief question was asked, and the child was prompted to justify his/her response. All tests were presented orally by one of the investigators in a quiet room. The tasks were part of a larger battery of tests that are not reported here. The tasks were administered in counterbalanced order. The total duration of the session was 45 min. The intelligence test was administered on another occasion, approximately 2 weeks later. Both the baseline and self-promotion responses were tape-recorded and transcribed. The mean numbers of words per self-description was calculated. Self-statements were defined as self-referring sentences, i.e. they had ‘I’ as their grammatical subject. Following Aloise-Young, each self-statement contained in the transcript was coded for valence (positive, negative or neutral). The positive category included expressions of positive affect (like, love, enjoy), abilities (smart, good at something) and socially desirable attributes (being nice, helpful). The numbers of positive, neutral and negative self-statements were tallied for each child. In the self-promotion condition we additionally scored attempts of children to present themselves positively in relation to the personal gain that could be achieved (i.e. participating in the game where desirable prizes could be won). Specifically, all positive self-statements were coded as game-related (relevant skills, motivation to win) or not-game related (all other responses). Children were scored as passing the second-order false-belief task when they showed explicit or implicit second-order reasoning including an appropriate justification using the taxonomy of Sullivan et al. (1994). A second rater, a graduate student blind to the diagnosis of the children, rated 20 transcripts. Inter-rater reliability (Cohen’s Kappa) was 0.95 for positive self-statements, 0.95 for the goal-directedness of the positive self-statements and 0.99 for the second-order false-belief task. Responses of children with PDD-NOS and HFA were not significantly different, and therefore were combined in the analyses. Three comparison children and seven children with HFASD reported not to know at all how they would describe themselves. The frequency of these non-responses did not differ between HFASD children and comparisons (χ 2 = 1.81, p > 0.05). Equal numbers of words were used by children with HFASD (M = 59.7, SD = 39.7) and comparisons (M = 56.0, SD = 34.3), F(1, 84) = 0.43, ns, and there were no significant differences between the baseline and self-promotion conditions within the autism group (M = 32.1, SD = 26.3 and M = 27.6, SD = 20.4, respectively; F < 1) or the typically developing group (M = 29.6, SD = 19.0 and M = 24.8, SD = 22.0, respectively; F < 1). Table 2 shows the valence of the self-statements for the baseline and self-promotion condition. A 2 (Group: HFASD and comparison) × 2 (Condition: baseline and self-promotion) × 3 (Valence: positive, neutral and negative) analysis of variance indicated no main effect for Group, F(1, 84) = 0.00, p > 0.05. A main effect was found for Condition, F(1, 84) = 23.18, p < 0.01, indicating that the overall mean number of self-statements was lower in the self-promotion condition than in the baseline condition. Furthermore, effects were found for Valence, F(2, 168) = 62.23, p < 0.001, Group × Valence, F(2, 168) = 7.25, p < 0.001, Condition × Valence, F(1, 84) = 15.39, p < 0.001 and Group × Valence × Condition, F(2, 168) = 3.52, p < 0.05. To elucidate the nature of the critical three-way interaction, we tested the simple effect of Group × Valence within each Condition. The simple effect of Group × Valence was significant for the baseline condition, F(2, 168) = 8.40, p < 0.001, but not for the self-promotion condition, F < 1. The contrast between results for the different conditions is due to the fact that the HFASD children provided significantly fewer positive self-statements [t(84) = 2.99, p < 0.01] and significantly more neutral self-statements [t(84) = 2.17, p < 0.05] than the comparison group in the baseline condition, representing medium sized effects (r = 0.31 and 0.21, respectively). No significant group differences were observed in the self-promotion condition (all ps > 0.10). Furthermore, paired analyses within both groups showed that the number of positive self-statements increased in the HFASD group, t(42) = 1.95, p < 0.06, r = 0.29, but not in the typically developing group t(42) = 1.21, ns, r = 0.18. Given the absence of group differences in the self-promotion condition, as noted above, these results indicate that the experimental manipulation brought the number of positive self-statements of the HFASD group in line with that of the comparison group. As noted earlier, positive self-statements in the self-promotion condition were further categorized according to their goal-directedness as game related or not-game-related (Table 3). A 2 (Group: comparison and HFASD) × 2 (Goal-directedness: game-related and not-game-related) MANOVA showed no main effects for Group or Goal-directedness but an interaction effect was found for Group × Goal-directedness, F(1, 84) = 6.72, p < 0.05. Although children with HFASD did sometimes report game-related features, they did so less often than typically developing children t(84) = 2.17, p < 0.05. r = 0.23. 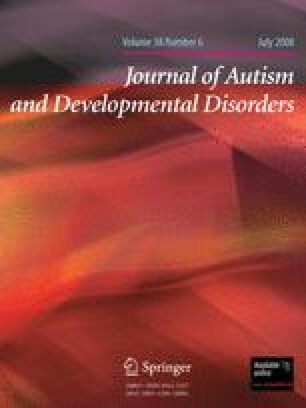 Furthermore, it was of particular interest to see that children with HFASD included very similar numbers of game-related and not-game-related self-statements in the self-promotion condition, t(42) = 0.72, ns, whereas comparison children seemed to focus specifically on game-related features t(42) = 3.36, p < 0.005, r = 0.46. In addition to being matched on age and IQ, children with HFASD and comparisons performed similarly on the second order false belief task (percentage passing, 0.58 vs. 0.72, respectively), χ 2 (1) = 1.84, p > 0.10. Correspondingly, when age, IQ and false belief performance were included as covariates, the key findings regarding the valence and the goal-directedness of children’s self-statements remained the same (three-way interaction of Condition × Group × Valence, F(2, 162) = 4.93, p < 0.01; two-way interaction of Group × Goal-directedness, F(1, 81) = 9.45, p < 0.005). Moreover, in both the HFASD and the comparison group correlations between IQ scores and any of the dependent variables were absent. The current study confirmed that children with HFASD may understand the basic principle of self-presentation, but also showed where they failed strategically. Personal gain triggered their self-presentational behaviour, as evidenced by their higher report of positive self-statements and their reference to some game-related features in the self-promotion condition. These findings indicate that they can shape the image they present to their audience, even though they need to be explicitly motivated to do so. However, there were clear differences in the self-presentational behaviour of the HFASD and comparison groups. In the baseline condition, with no explicit personal gain to be achieved, the HFASD children did not exhibit the typically-developing children’s tendency to give positive self-statements. Moreover, despite the higher number of positive self-statements in the self-promotion condition, their self-descriptions here still included many obvious (e.g. ‘I really want to win prizes’), irrelevant (e.g. ‘I can count to 10 in Russian’) or even negative (e.g. ‘I get angry very quickly’) self-statements. Thus, they seemed less attuned to what their audience might want to hear in order to pick them for the game. Their responses were mostly characterized by a naïve generality, with little strategic attempt to single themselves out from the rest of the participants. In contrast, comparison children showed a clear tendency to focus on the self-presentational goal at hand: the majority of their self-promotion statements were game-related. We have to note several limitations of the current study. First, the baseline and self-promotion conditions were presented in a fixed order, which may have influenced children’s responses. A future design would benefit from counterbalancing or an entirely between-subjects design in order to show conclusively that differences between conditions in positive and strategic statements are independent of practice. Second, the current experiment called for the use of pretence abilities, because children had to imagine how they would respond in an hypothetical situation. Pretence abilities likely play an important role during strategic self-presentation, since children have to imagine the perspective of another person in order to adapt their strategy. However, the current study could have used a more direct method by simply asking children to describe themselves to the experimenter, with or without a possible personal gain. Third, it could be argued that the value of participating in a game with prizes is not as compelling to children with HFASD as it is for typically developing children. It may have been useful to include a measure of the perceived value of the personal gain that could be obtained in the self-promotion condition. However, a clear interest of the HFASD children in the currently employed prize-winning game may still be concluded from the increase in positive self-statements from the baseline to the self-promotion condition. Furthermore, the observed results are consistent with other evidence that anticipated rewards are highly valued by HFASD children (Begeer et al. 2003). Clinical interventions often focus on enhancing the social knowledge of children with HFASD (Lord et al. 2005). However, the current findings suggest that even adequate social knowledge, in domains such as false belief or self-presentation, often fails to translate into more subtle adaptive self-presentational behaviour. This is in line with mounting evidence of limitations in the application of social understanding in children with HFASD, and underlines the importance of interventions that focus on adaptive behaviour (Klin et al. 2007).